In this season of hope and reflection, we look back at a letter written on Christmas Eve, 71 years ago. 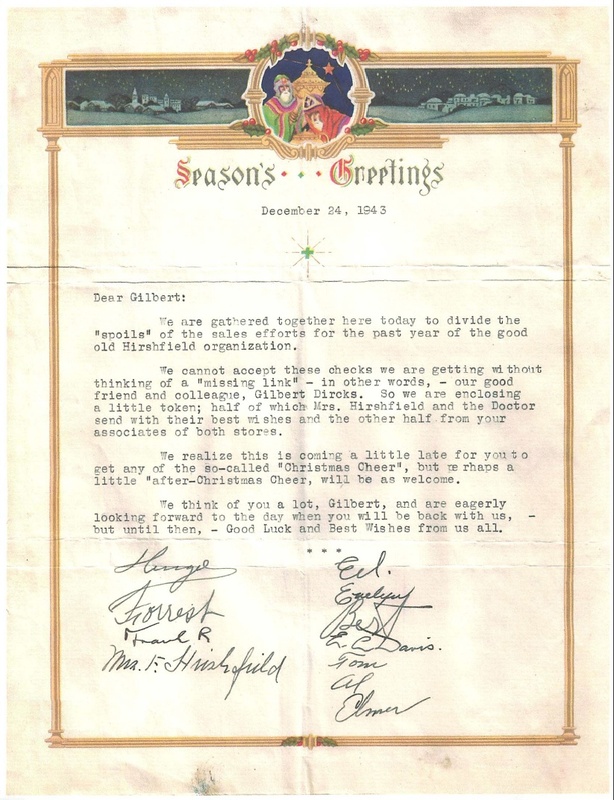 Gilbert, a longtime Hirshfield’s employee was off serving our country during World War II, and his friends wanted to share some Christmas cheer with him. 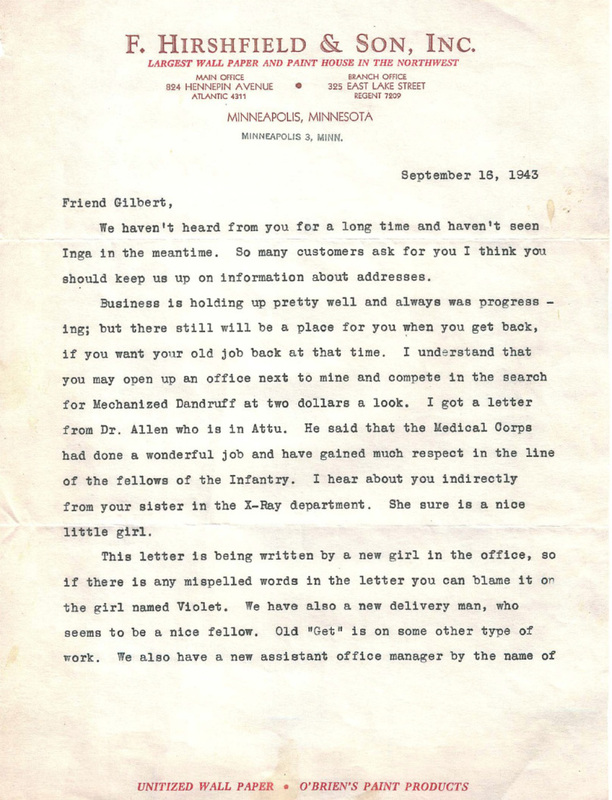 Gilbert served in the Army’s Medical Corps, eventually becoming a POW. 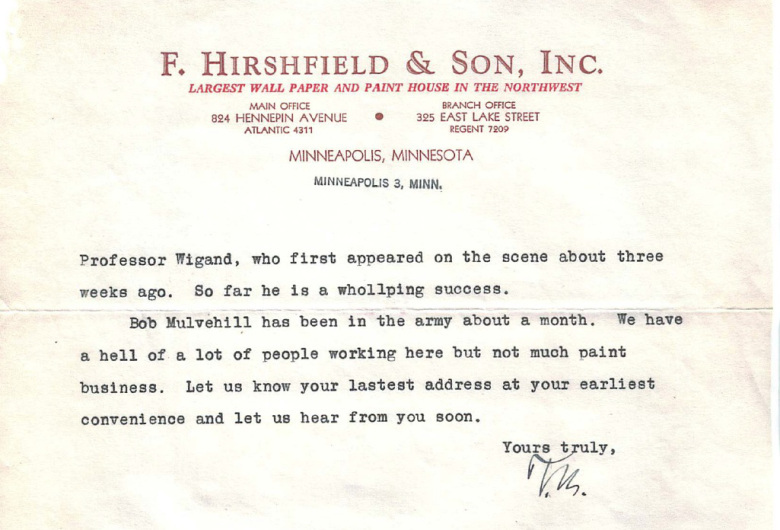 After the war was over, Gilbert returned to Hirshfield’s, where he continued working into his 80’s. The reference to “Mrs. 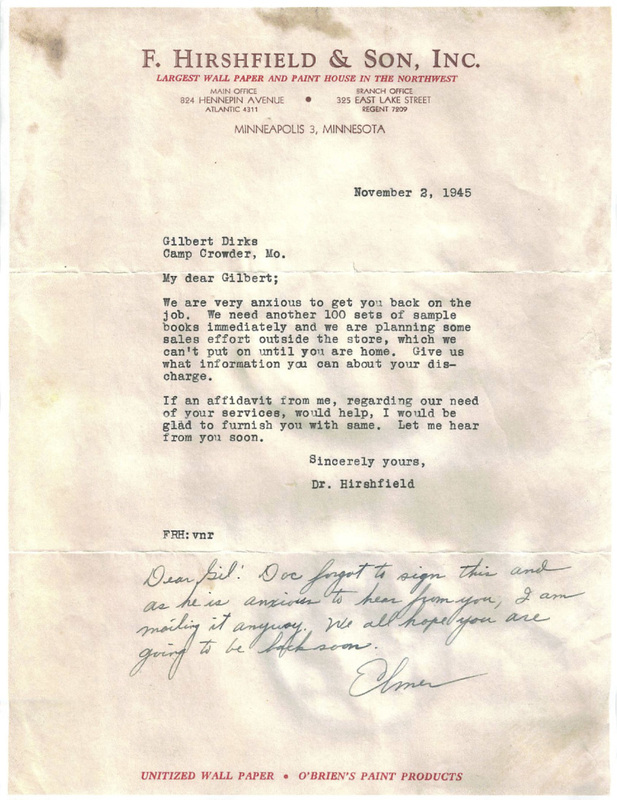 Hirshfield and the Doctor” is about Hans’ grandfather, who ran the business, but was also a practicing physician. Apparently this surprised some of his patients who, when they noticed the doctor’s paint-splattered shoes, questioned the validity of his credentials. Here are some other letters written to Gilbert while he was overseas. A very Merry Christmas from your friends at Hirshfield’s.